Beverage Dynamics in 2017 opened its Retailers of the Year award for the first time using a nomination process, asking retailers around the country to apply for this coveted award. Retailers could nominate themselves, or be nominated by a member of the industry. All were required to complete a detailed entry form, which included financial information, product mix, staffing and training practices, advertising expenditures and industry association affiliation. After reviewing all the entries, 15 winning retailers were chosen by the magazine’s editorial staff, representing every facet of the industry from regional chains to single-store independents. Winners received their awards at the inaugural Beverage Alcohol Retailers Conference in Minneapolis. Congratulations to everyone who won, and good luck to those who enter next year’s awards. Selection and service are the two secrets to Mega-Bev’s success. The Michigan-based, family-owned chain launched in 1995 with a small 800-square-foot store. 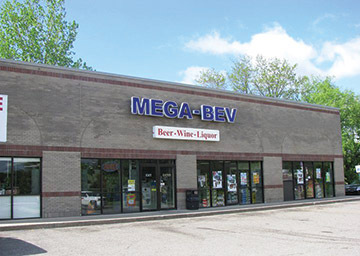 Now Mega-Bev has five locations across the state, including its 12,000-square-foot flagship store in Kalamazoo, which is the largest liquor store in Michigan. Plans to open a Lansing location in May 2017 are underway, and Mega-Bev shows no signs of slowing down after that. Product selection makes Mega-Bev superior to many of its competitors. Mega-Bev was founded by Scott Niecko, who left a career in sales to venture into the liquor business. That first store, named the Party Store, was located in Battle Creek. Niecko spent some time learning the ins and outs of the business, and a year later he was ready to branch out by opening another location across town that was four times the size of the first. The additional space allowed Niecko to focus on cultivating a vast and unique line of products, including premium wine and spirits, along with rarer import items. Niecko also began honing a collection of craft beer products, along with a substantial offering of Michigan wines. That variety wasn’t as common 20 years ago as today, and it set Niecko’s stores apart from the competition by helping to build a solid customer base of people who were searching for items that weren’t available anywhere else. After opening several other stores over the next decade, Niecko’s family stepped up to help him run the business. His wife, Trina, handles the company’s website and social media accounts. Elder daughter Chelsie oversees operations management, and younger daughter Darian manages staff training and finances. Surprisingly, the family dynamic transfers well from the homefront to the office. The Nieckos eventually rebranded the businesses as Mega-Bev in 2010. Two years later, the Kalamazoo store opened and remains the largest store of its kind in Michigan. When the Lansing store opens, it will be the second largest retail liquor store in the state, with more than 10,000 square feet of space. Although Mega-Bev has expanded into so many locations, Niecko is quick to point out that every store is different. Mega-Bev has five locations across Michigan. Product selection makes Mega-Bev superior to many of its competitors. However, that isn’t the only thing Niecko attributes to his company’s success. Customer service is at the forefront of Mega-Bev’s business model, and top-tier service is something guests have come to expect at all locations. In order to ensure that all of the company’s 46 staff members deliver the same level of quality service, Mega-Bev devotes a large amount of time and resources to employee training. Prior to any new staff member hitting the sales floor alone, he or she must complete a minimum of 40 hours of training alongside a more seasoned employee. Niecko acknowledges that this kind of program is costly to the company, but he considers it to be essential. In fact, due to the large volume of information employees need to know, Niecko actually wishes the training timeline could be extended. Along with coordinating in-house staff training, Mega-Bev also sponsors external employee training opportunities. All staff members are encouraged to become certified in wine and liquor by the Society of Wine Educators, with Mega-Bev paying for all related course materials and testing. Mega-Bev is also known for offering added value to customers. In addition to various in-store product tastings, the company also hosts an annual tasting event, which generally includes more than 80 supplier participants and draws more than 1,000 attendees. The event gives customers an opportunity to sample new products before purchasing them in the stores. Although Mega-Bev doesn’t sell product during the tasting, featured products are offered at a discounted price in-store after the event. After the new Lansing store opens, Niecko will set his sights on the next Mega-Bev location, as additional expansion is planned. Niecko acknowledges that the business has only become more challenging over the years. 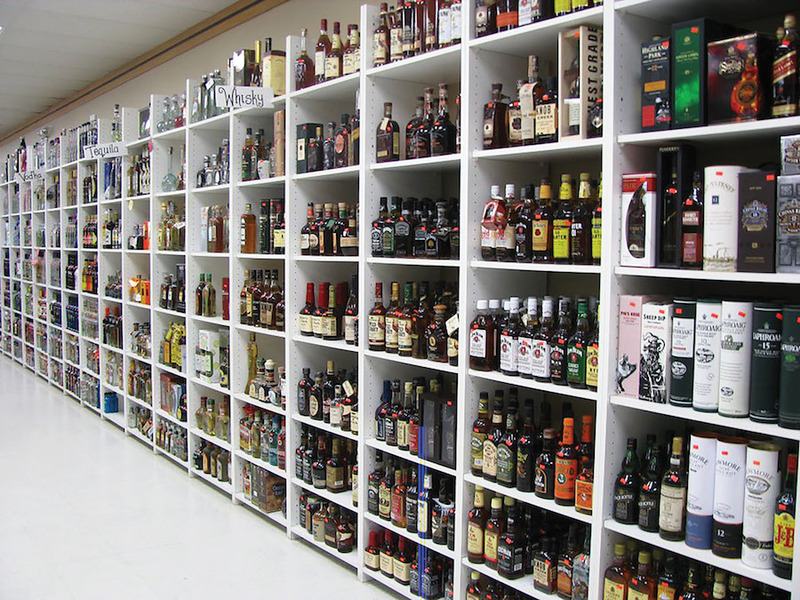 Competition has increased, and the concept of a liquor superstore is no longer a rarity. Additionally, supermarkets continue to invest deeper in the liquor category, resulting in even more competition. However, Mega-Bev is known for being a specialty beverage destination, and is famous for providing outstanding service. Niecko is confident that business will continue to thrive–and he plans to enjoy every minute of it. 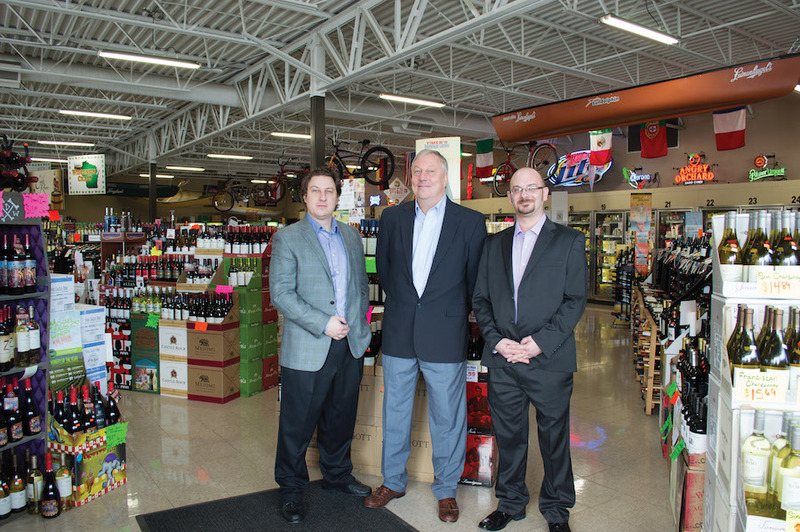 Fourth-generation retailer Ed Mulvihill grew up in the beverage alcohol industry. His great-grandfather founded Peco’s Liquor Store in Wilmington, Delaware in 1936. 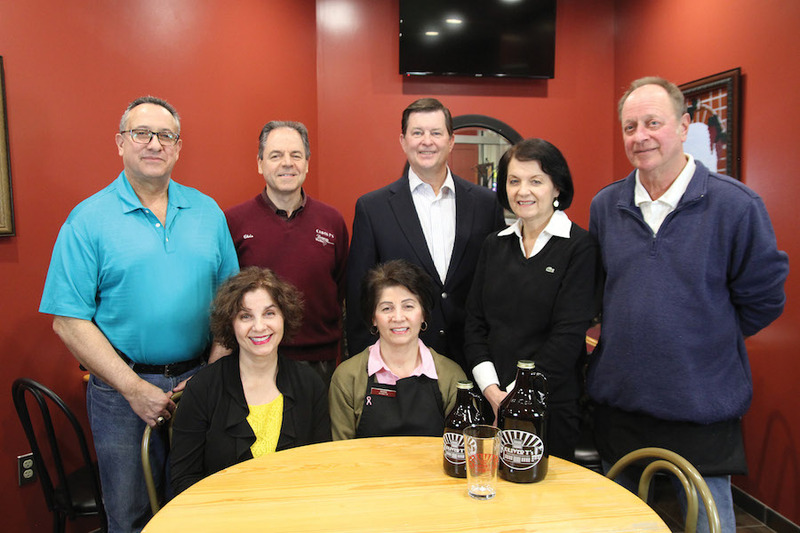 Today Mulvihill, the president of the Small Business Leadership Council (an industry organization for beverage retailers in Delaware), runs the 4,000 square-foot location with his mother Francine. “We have a hand-picked wine selection, a large number of craft beers, a growler bar, a large craft spirits section and one of the best whiskey selections available,” says Mulvihill, who holds a WSET Advanced Certificate and often leads the team in wine training. Recently, Peco’s has redesigned its website, reorganized its wine selection and introduced Food Truck Fridays on the last Friday of each month, where Peco’s hosts complimentary beer, wine and spirit tastings in partnership with local food trucks. Peco’s Liquor Store in Wilmington, Delaware first opened in 1936. In addition to the food truck events, Peco’s holds a number of charitable events throughout the year. It hosts two major fundraisers, which bring in thousands of dollars for local non-profits. The store is also known for its social media prowess, utilizing Facebook, Twitter and Instagram. Facebook has been an especially useful tool for promoting Peco’s annual events. Over its 80 year history, Peco’s has developed a reputation for service, selection, unique events and community involvement. As a sales clerk at Acme Liquor Store in Crested Butte, Colorado (pictured atop), circa 2005, Peter Cook had his eye trained on future ownership. Having helmed three businesses in the past (the first when he was just in high school), Cook says he had always been an entrepreneur and a self-starter. The Pittsburgh native moved to tiny Crested Butte in 2002, “looking for extreme skiing, hockey and hang gliding.” He didn’t know a single person, and had never visited before. 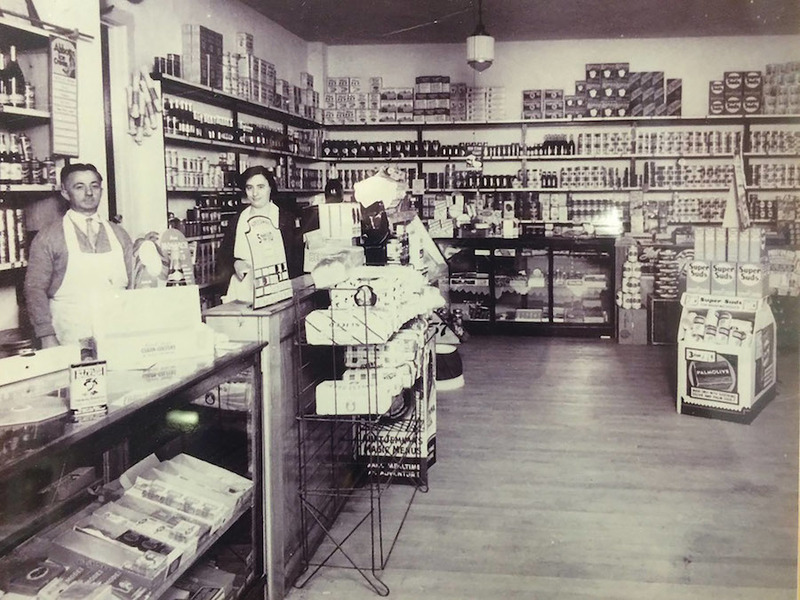 Ten years later he purchased Acme, the 4,300-square-foot store founded half a century earlier. 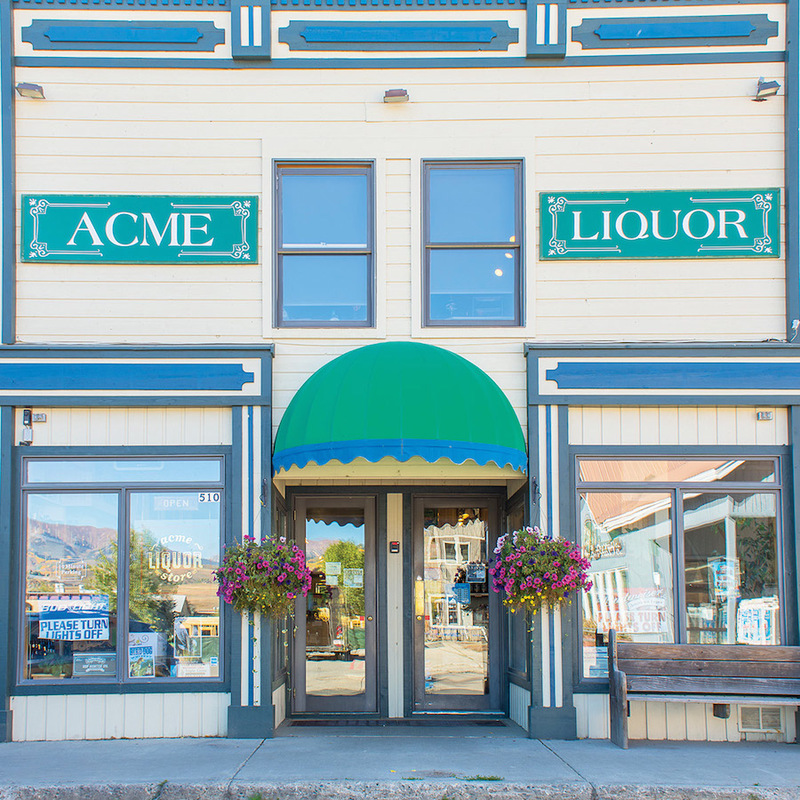 Acme is the largest liquor store in Crested Butte. Its location in the seasonally driven, tourist-heavy Crested Butte poses significant challenges for Cook, but since he took over, sales and volume have almost doubled thanks to customer service and an increased selection. Acme’s two full-time employees and nine part-timers enjoy a litany of benefits, including but not limited to a free ski pass—or equivalent cash bonus. Wages hover around $14 an hour – after all, ski-town rents are expensive. The assistant manager gets insurance and an open-ended vacation schedule, “which probably ends up being five to six weeks per year,” Cook says. Cook and his assistant manager train all new hires themselves. When Cook took over, he created an employee handbook, “which has everything you need from locating the fuse box and water shutoff to what our customer relationship should be like,” he says. He begins every new employee with a personal tour. “I try to be hands-on and let them know I’m not an absentee owner,” he says. “And the ski pass is there to sweeten the deal so I can keep the good ones.” Crested Butte’s year-round population is only about 2,000 people, but swells during tourist season. When business gets “really slow” in the offseason months of April/May and October/November, Cook doubles the store’s loyalty program points to 3%. Customers accrue 3% from each sale, which they can redeem for a store rebate. Points never disappear, and there’s no time limit. “We want to reward the locals,” he says. One benefit of being a tourist destination is that Acme suppliers a lot of weddings, which has given Cook a glimpse into how he might get into delivery service. 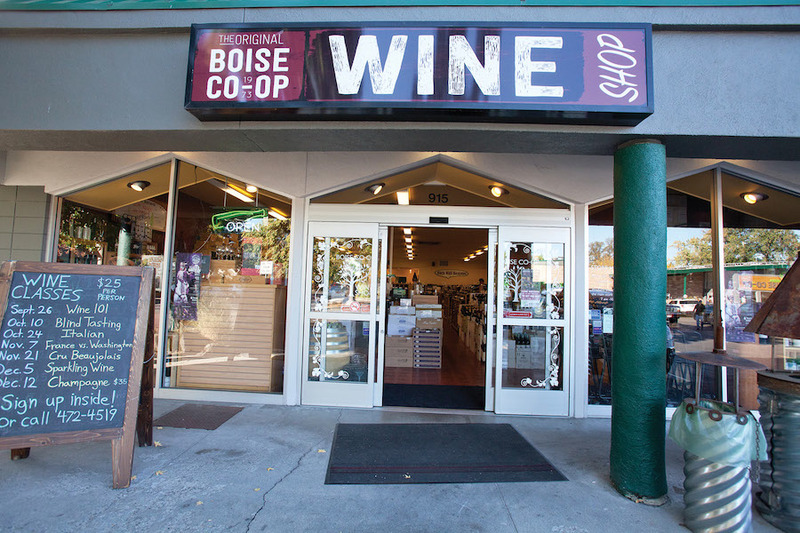 In 1979, Divit Cardoza approached the general manager of his Boise, Idaho, grocery co-op about starting a wine department. The California native and former chef eventually moved his beloved wine business again, and for the past 10 years has operated a standalone shop across the parking lot from the grocery store. The single-location, 4,000-square-foot shop offers some 3,750 wines from around the world. The member-owned store is open to the public and, Cardoza says, is mostly run like any other business. Of the six full-time and two part-time employees, Cardoza— with nearly 20 years under his belt—is the longest-serving. Operating a wine retailer in the control state of Idaho means having to buy through a licensed distributor, which he doesn’t see as a detriment. The member-owned store is open to the public and, Cardoza says, is mostly run like any other business. Cardoza’s other main charge? Education—of both his employees and Boise locals. When new wines come in, sales associates participate in for a staff tasting and adopt their favorites. “If they really like something, they take it upon themselves to educate the rest of the staff,” Cardoza says. “It becomes their job to take ownership of those wines.” Cardoza conducts free weekly tastings, as well as classes every other weekend for $30. “This week we are doing one called Back-Wall Bargains,” he says, which will be a run-through of great wines under $10. Idaho law places some interesting restrictions on the Co-Op. It cannot sell wines above 16% alcohol, with the exception of port, sherry and Madeira—which must be labeled as such. The store also cannot sell liquor; those products are state-controlled. In an area with intense competition—one of its locations sits squarely between a Kroger and Wal-Mart—Illinois’ Speakeasy Liquors is booming. The four-store chain has three Speakeasy Liquors locations, the first of which opened in Marion, Illinois, in 2011. It subsequently opened two new locations in Herrin and Harrisburg, Illinois. The fourth, called Lucky’s Beer Wine Spirits, has a military theme and caters to a wider customer base. A fifth location, which will also be a Lucky’s, is slated to open in June. In an average store size of 7,000 square feet, Speakeasy offers the largest selection of beer, wine and spirits in the area, district manager Patrick Austin says. It has a popular 750 square-foot beer cave, and the store encourages patrons to bring a jacket so they can take time deciding what to buy without getting cold. Austin began his work in the beverage industry on the wholesale side. One day in 2011, Austin placed a call to an Illinois restaurant owner, Jeff Diederich, who told Austin he was going to open a chain of liquor stores. While they aim to be first to market with new products, says district manager Patrick Austin, the stores also stand out due to thoughtful design elements. To further this goal, Austin does a 10-minute radio spot every Thursday. He talks about the stores’ specials and upcoming events. Also during the broadcast, a live caller picks the sale item for that week, which is sold at cost, and earns a $20 gift card. On social media, Speakeasy’s Facebook boasts 11,000 likes, and its Twitter is just getting going. The chain pulls out all the stops for in-store events. Events are often held outside in a tent during the summer, which means cigars sold from walk-in humidors at each Speakeasy location. A few years ago, the store also hosted Wild Turkey’s Master Distiller Jimmy Russell for a talk. Speakeasy and Lucky’s do not yet sell online, but do have a bimonthly email announcing tastings, specials and new products to about 5,000 customers. Over the past year, Austin says he has improved the chain’s website and social-media presence, and in the next 12 months hopes to grow its wine business. All employees—which include 10 full-time workers and over 50 sales associates—are trained on BASSET, a state-run online certification program. Austin says he’s extremely proud of their knowledge and professionalism, which sets the stores apart in a busy metropolitan location. From an automotive crisis in the late 2000s to last year’s devastating water crisis, the city of Flint, Michigan and its surrounding businesses have struggled to catch a break recently. Oliver T’s Market in Grand Blanc, Michigan (a suburb of Flint), has felt these effects, but it hasn’t stopped the store and Manager Mike Canan from running a successful business. “The key to our success has always been our family. The family’s always here when the store’s open,” Canan says. Canan maintains that the store always has at least one family member working. In the morning, the entire family is usually in attendance to stock shelves, clean and deal with incoming inventory. In the evening, they’ll have at least one member present to manage the store and answer questions. Canan has been with the company since 1985, and says that most of the family has worked with him during that time. Frank Capoccia owns the store, while his son Chris and three sons-in-law, including Canan, work as store managers. Canan notes that the store retained all its employees during the recent water crisis, which meant cutting some corners like having the family members take pay cuts. Oliver T’s beer department offers one of the largest selections in the state, but Canan stresses that the store isn’t limited to its beer and liquor. The specialty grocer roasts and flavors its own coffee, offers a full-service deli and bakery, and has a growing section of giftware components. The business also offers a tasting room for customers, with a bartender on staff Wednesday through Saturday. One of the biggest recent additions to Oliver T’s is a 20-tap growler station installed on August 1. Since that time, the store has sold over 40 barrels of craft beer in growlers. Efficiency has been a significant part of Oliver T’s success over the past several years. Last year, the store won Energy Efficient Business of the Year from Consumer Power for its full implementation of LED lighting. “We’ve also saved over $1,700 a month in our energy bills,” Canan adds. Canan says Oliver T’s makes sure to keep its inventory tight, so product isn’t piled all over the floor. That also ensures products don’t get buried, staying fresh. Oliver T’s works on fundraisers with the Flint Institute of the Arts, and donates a variety of its food to local organizations. The company also donates leftover food to local soup kitchens. Through all the ups and downs of the past several years, Canan maintains that his favorite part about working at Oliver T’s is dealing with the customers. “They’re excited to come in,” he says. “They feel good about their purchase and we feel good about it too. As a family-owned business since 1926, there’s a rich history to uphold at Timer’s Beverage Center. Ed Fahnrich (the great grandson of founder Joseph Timer) turned the Racine, Wisconsin business over to new owner Shawn Voss in 2015, and things have continued to run smoothly. Jason Jonas started stocking shelves at Timer’s when he was 15, and 19 years later works as the store’s general manager. Voss is the sole owner and handles Timer’s day-to-day operations with his son Cameron and GM Jonas. Jonas says that customer service is important for Timer’s, and helping customers with their purchases is a big component of that. “Even if they only have one bottle, we’re still helping them out to the car. Or at least offering it to them, so they have that family feeling,” Jonas says. Aside from switching from price tags to a scanning system recently, Jonas says that Timer’s hasn’t had many notable changes over the years. Timer’s has grown its grocery component throughout the years, and recently invested in a single-door cooler to start selling high-end cheese. Timer’s also works with a local butcher to sell homemade beef sticks. As a family-owned business since 1926, there’s a rich history to uphold at Timer’s Beverage Center. 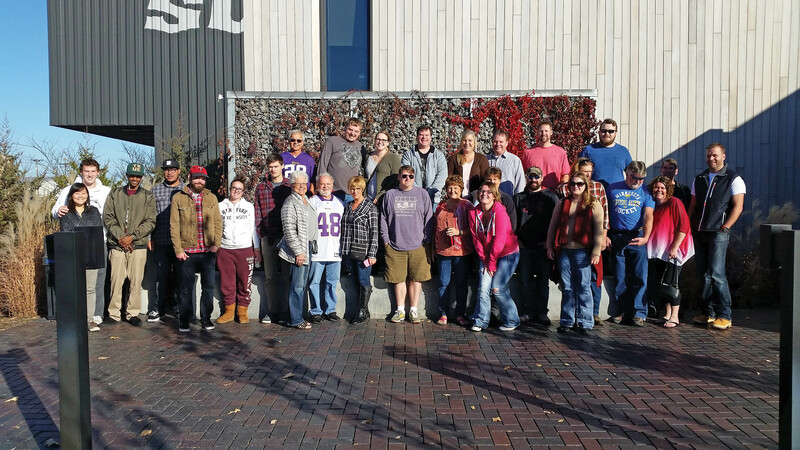 Big Brothers Big Sisters and the Racine Zoo are two of the major local organizations that Timer’s works within the community, and the company has held cigar dinners and golf outings for the organizations. For their next dinner at the end of May, Timer’s will pair with the Racine German Club to offer an authentic German meal to guests. “Over the last 20 years, we’ve raised almost a quarter of a million dollars for the zoo,” Jonas says. He adds that Timer’s also supports schools and local teams as much as they can. When the Timer’s team gets rare or exclusive whiskeys, they’re set aside if possible, rather than immediately put on the shelf. “Instead of putting every single one up for sale, we’ll do a tasting dinner with them,” Jonas says. He says that these events, which occur about three or four times a year, help educate people about the various whiskeys being tasted. The company has expanded into experimentations with wine and beer dinners as well. After nearly 20 years of involvement with Timer’s Beverage Center, Jonas says that the customers are still his favorite part of the managing experience. 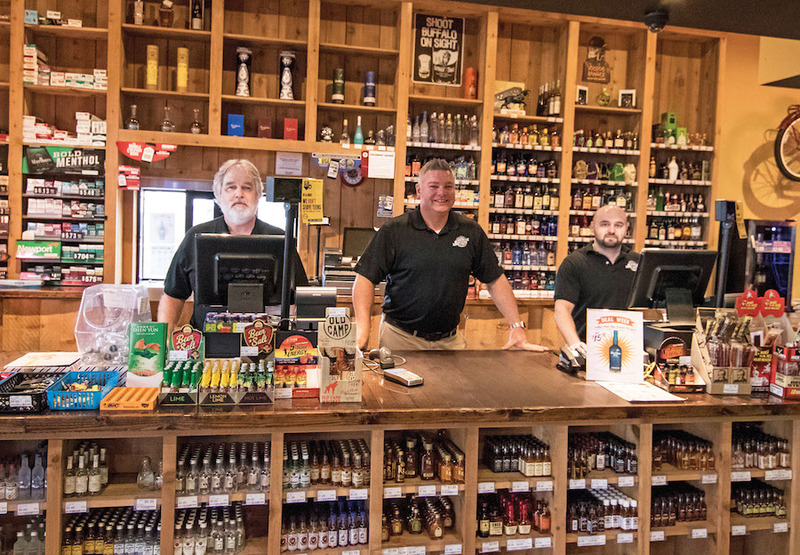 As a municipal liquor store in Lakeville, Minnesota, Lakeville Liquors runs its business a little differently than other Retailer of the Year award winners. “Because we’re municipal, everything goes back into the community,” Liquor Operations Director Brenda Visnovec says. The chain started in 1936, and now operates three stores, though it is looking to build a fourth within the next couple of years. Each store is within five miles of the primary location, which is built to look like an Italian Winery – complete with a stone façade and wood pergola. Other stores feature stained glass and high wooden beams. Since they are a municipal operation, Visnovec constantly exchanges tips and questions with other municipal operators throughout the state. “We’re stronger as a whole than any one individual,” she says. She relays one experience where the chain chose to construct its newest store in a dilapidated community park back in 2007. After the store was built, Lakeville Liquors put money right back into the park, building paved trails, a better beach and an improved playground. To further get Lakeville residents involved with the business, Lakeville Liquors offers customer loyalty programs like a wine club, brew club and a premier club (which is a combination of the two). Members of the wine club pay $25 a year, and receive 15% off any wines they buy in the stores, and members of the brew club pay the same rate, while receiving 10% off any craft beers. Visnovec says that the business has about 4,000 members among the three clubs. The Taste of Lakeville is one of the biggest events for the chain. Lakeville Liquors is coming up on its fifteenth year with the program, and Visnovec says there will be 500 wines featured, with 50 different vendors participating. The event itself raises nearly $125,000 for the Lakeville rotary, and Lakeville Liquor’s portion raises about $15,000 of that. The business also does a fundraiser called Cash for Canines, which raised $19,000 for a new canine service dog for the police department. Melissa Niksic, Sarah Protzman Howlett, Alex Van Abbema and Jeremy Nedelka all contributed to this piece.